Very vibrant and colorful! 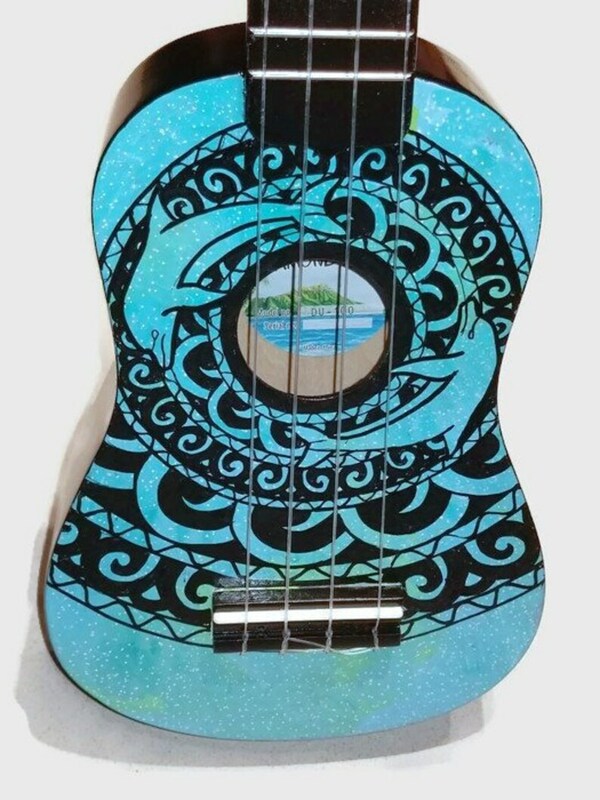 Black ukulele, green and blue galaxy hand painted on the front with a Dolphins and a black mandala. 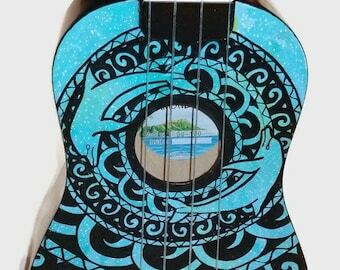 This ukulele is made to order, each on is unique in its own way. Soprano, Concert, Tenor, Baritone Ukuleles, or Acoustic, Acoustic/Electric Guitars.